Written by Felipe Azenha & filed in Community, Condo, Development Pipeline, Events. This will likely be the real estate event of the year. Check out the A-list panelists that ULI has brought together for this 1/2 day event at the Four Seasons. 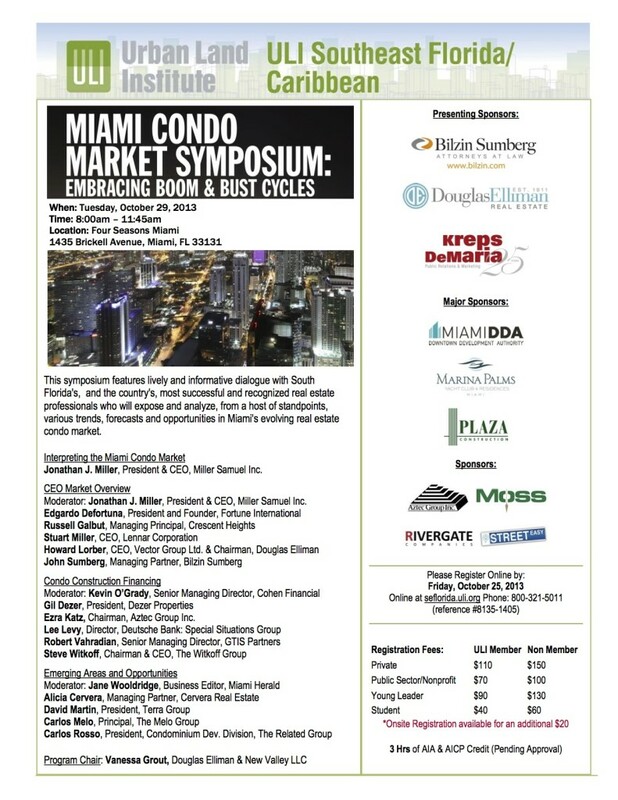 Click here to view a list of attendees and come prepared to network with the who’s who of real estate in Miami.